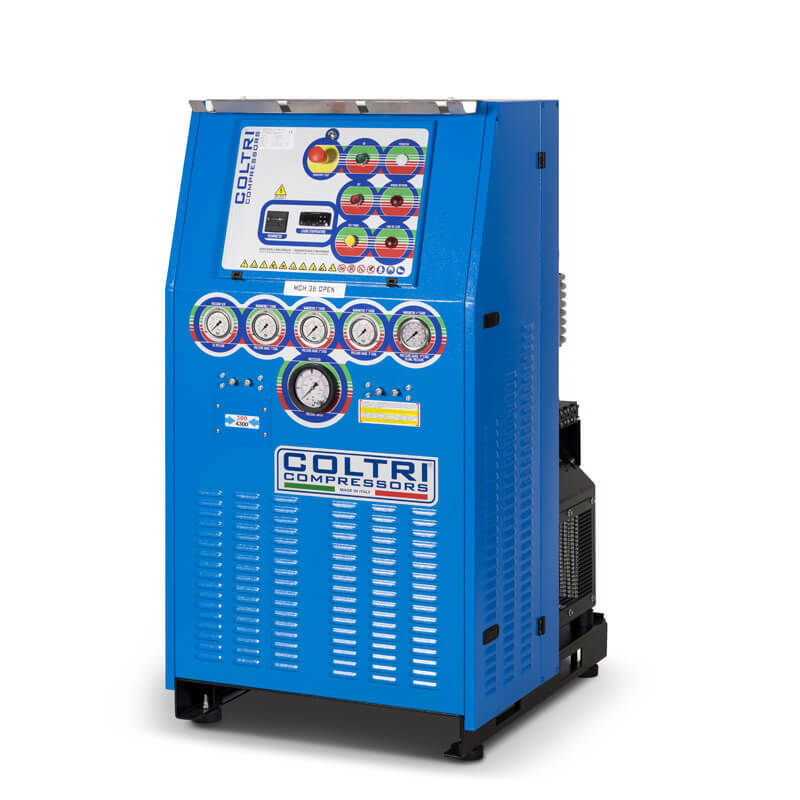 Fill paintball cylinders at home or in the field for personal or team use. 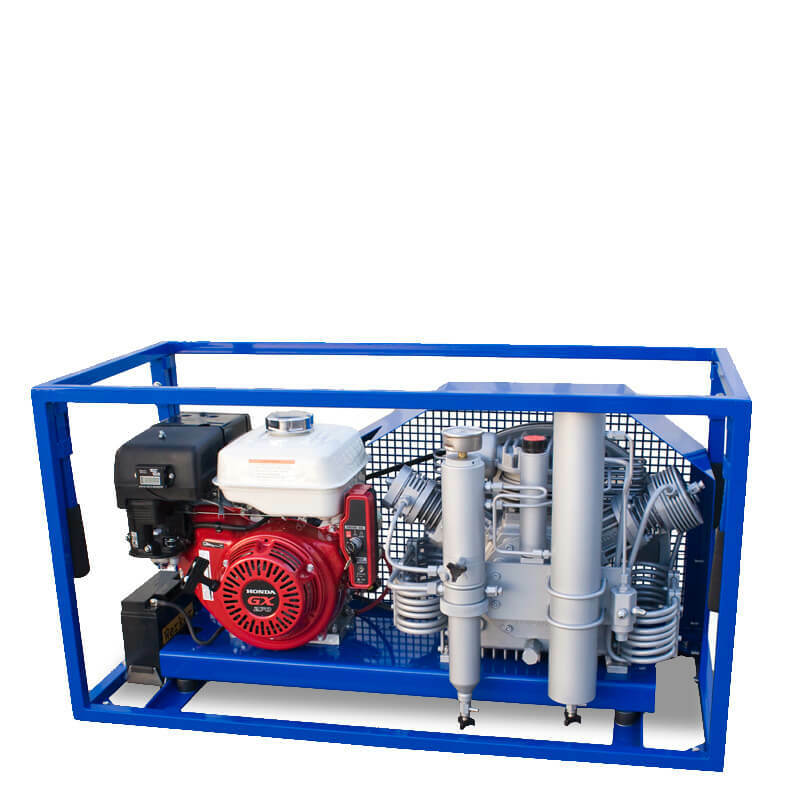 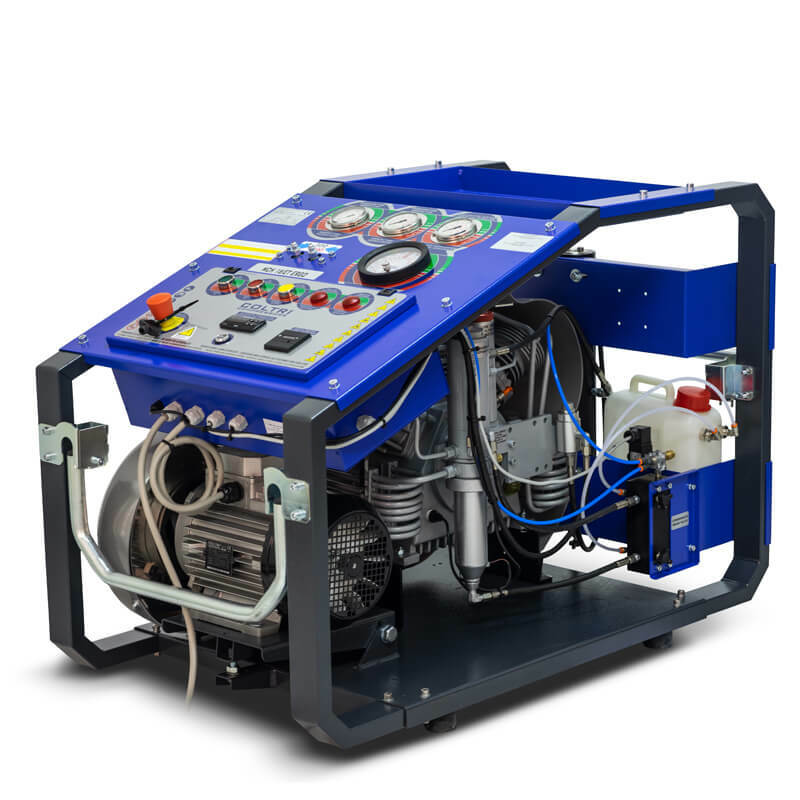 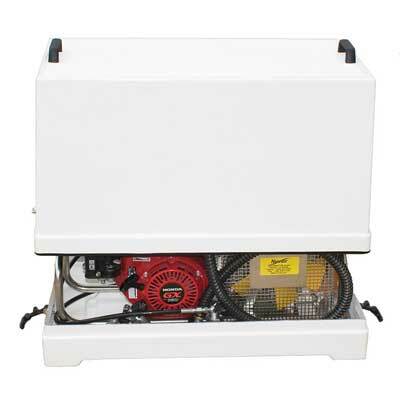 Powered by gas engine or electric motor, these PORTABLE and LIGHT WEIGHT high pressure compressors are equipped with one fill whip and pump 3.4 to 4.2 SCFM (96-119 L/min) at 4500 psi (310 bar). 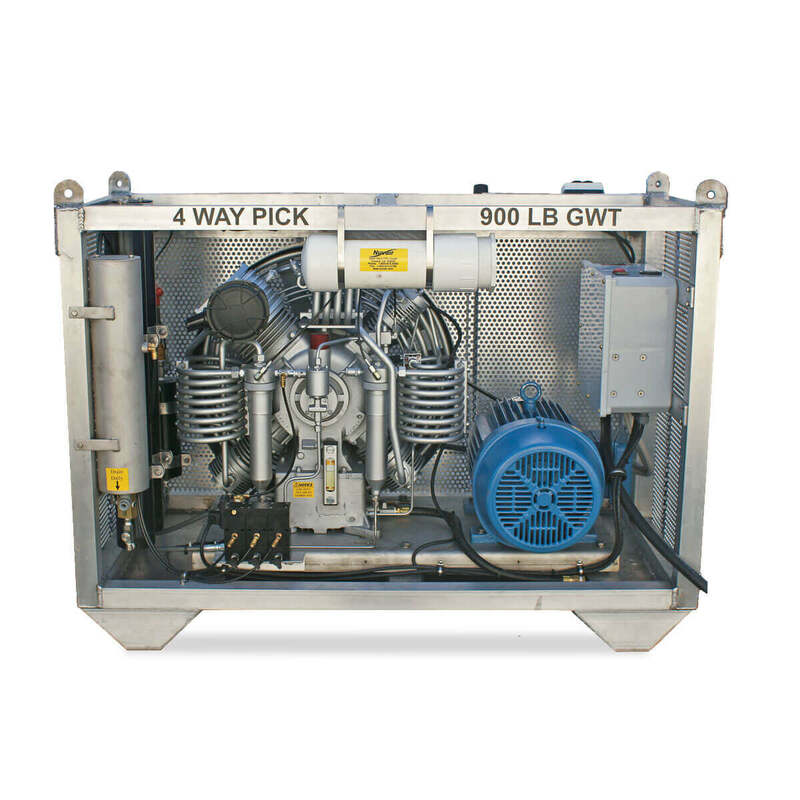 Fill SCUBA, SCBA or paintball cylinders at home, on a boat, or in the field. 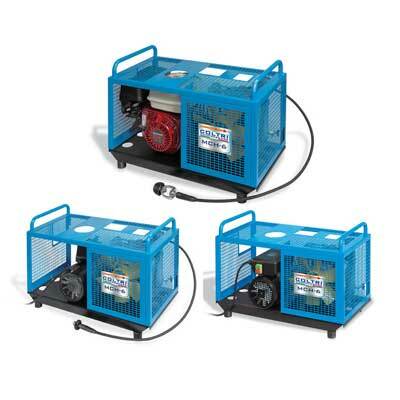 Powered by gas engine or electric motor, these PORTABLE and LIGHT WEIGHT high pressure compressors are equipped with one fill whip and pump 3.4 to 4.2 SCFM (96-119 L/min) at 4500 psi (310 bar). 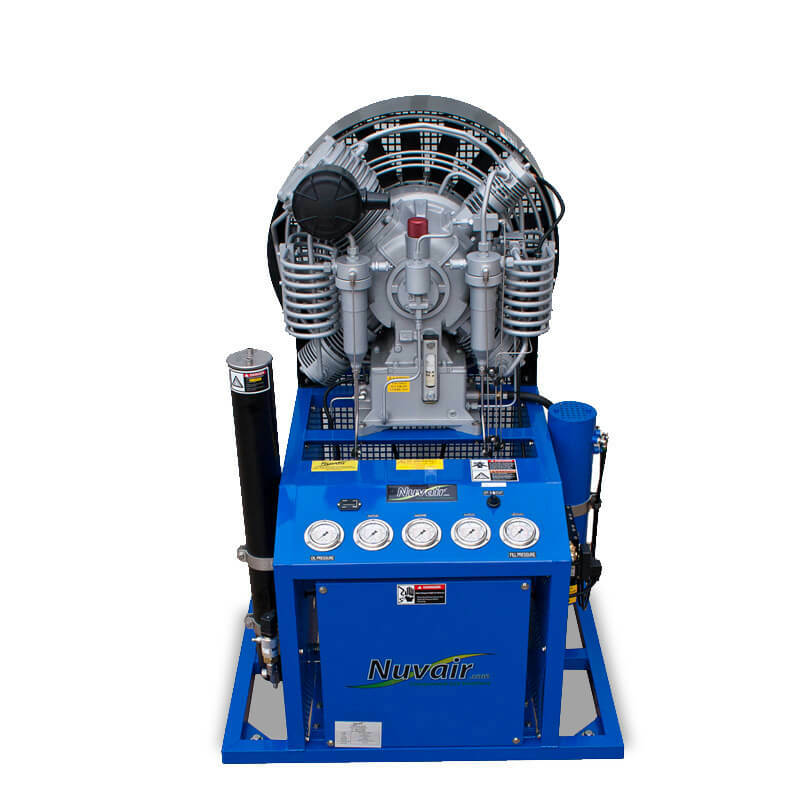 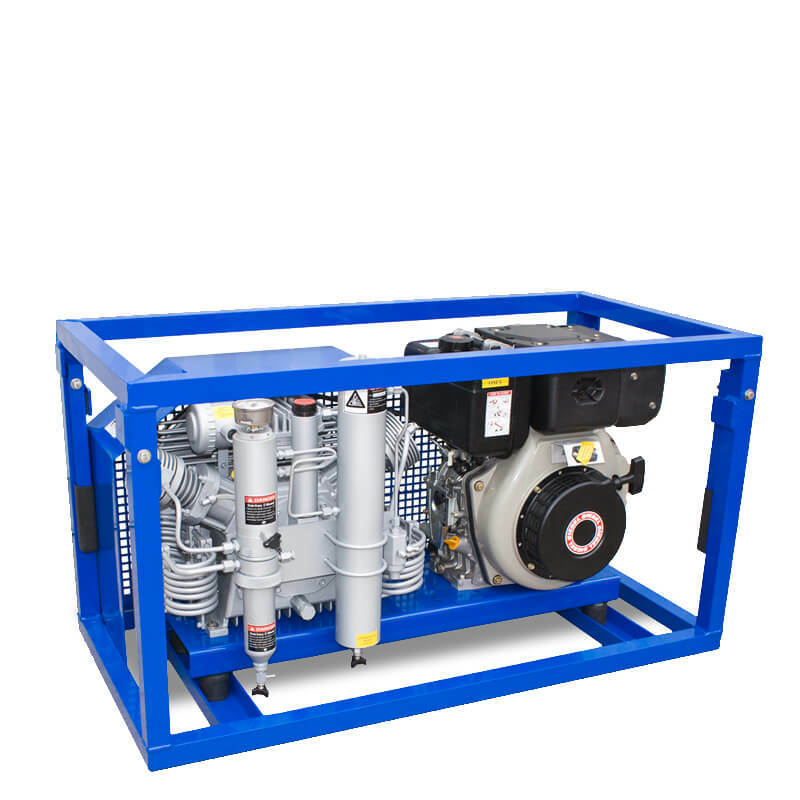 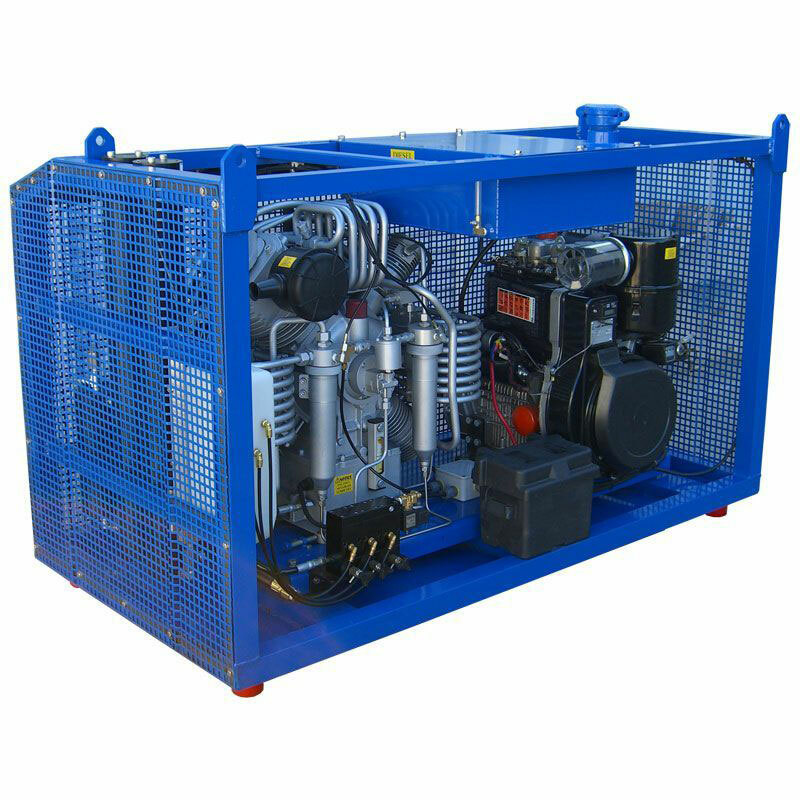 Depending on your needs, our line of continuous-duty electric, gas- or diesel-powered OPEN frame, high pressure compressors deliver 8.4 to 27 SCFM (238-764 L/min) at up to 7000 psi (482 bar). 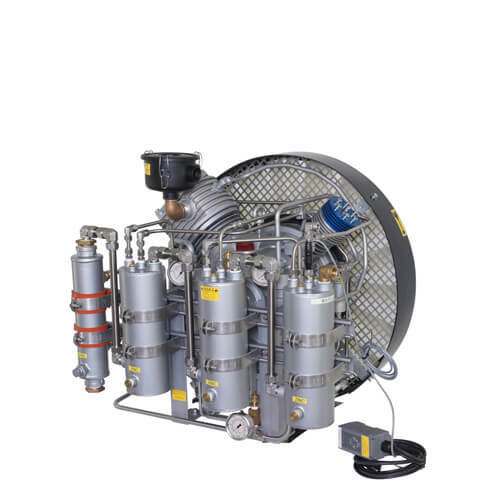 Fill multiple tanks simultaneously. 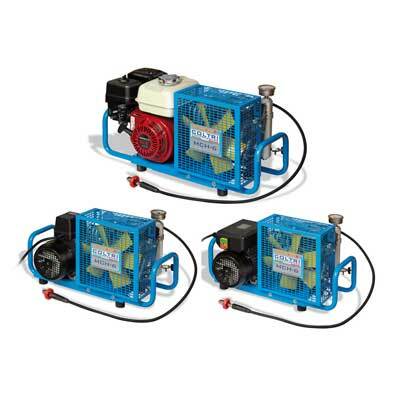 Supplied with two fill whips, our MINI TECH compressor series is popular in dive stores, paintball fields, commercial dive operations, and other industrial uses worldwide. 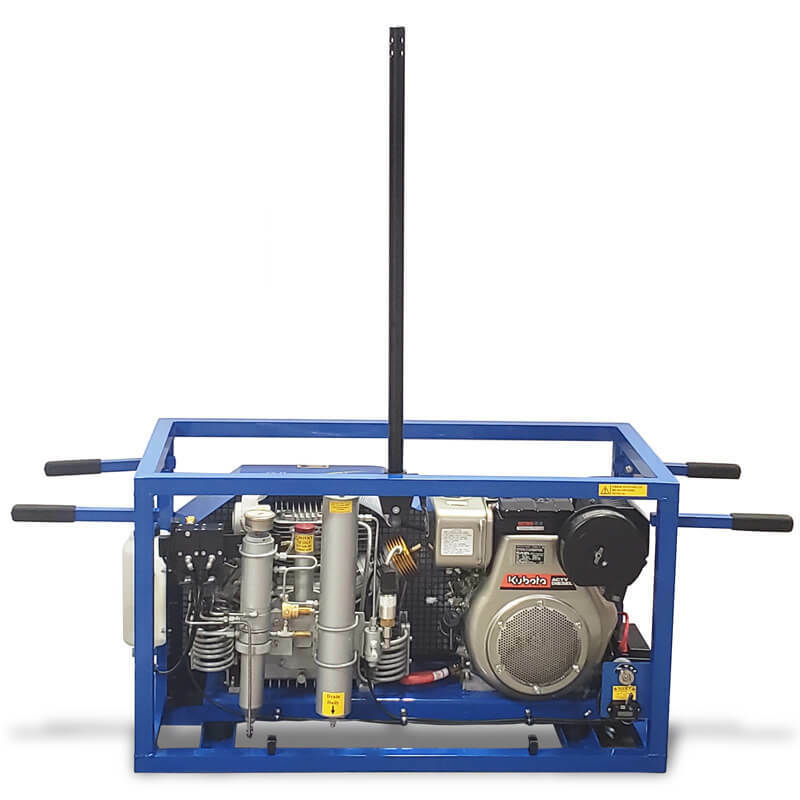 Our continuous-duty ENCLOSED frame compressors are the same as the OPEN frame compressors but come equipped with sound baffling protective enclosures. 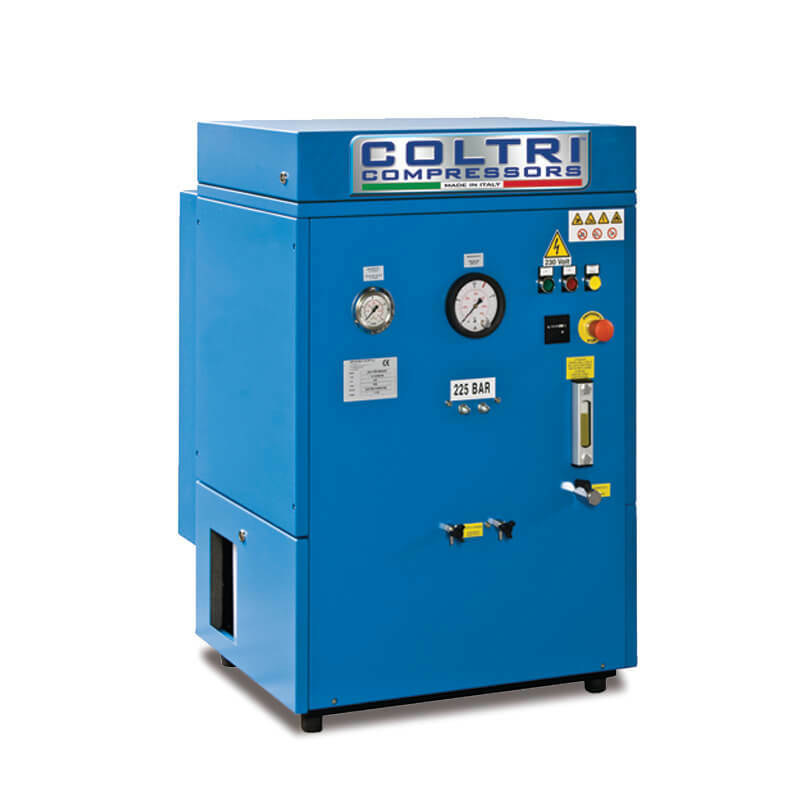 Outputs range from 8.4 to 27 SCFM (238-764 L/min) at up to 7000 psi (482 bar). 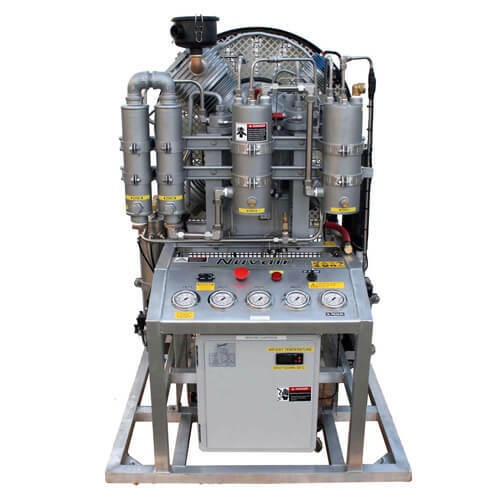 Fill multiple tanks simultaneously. 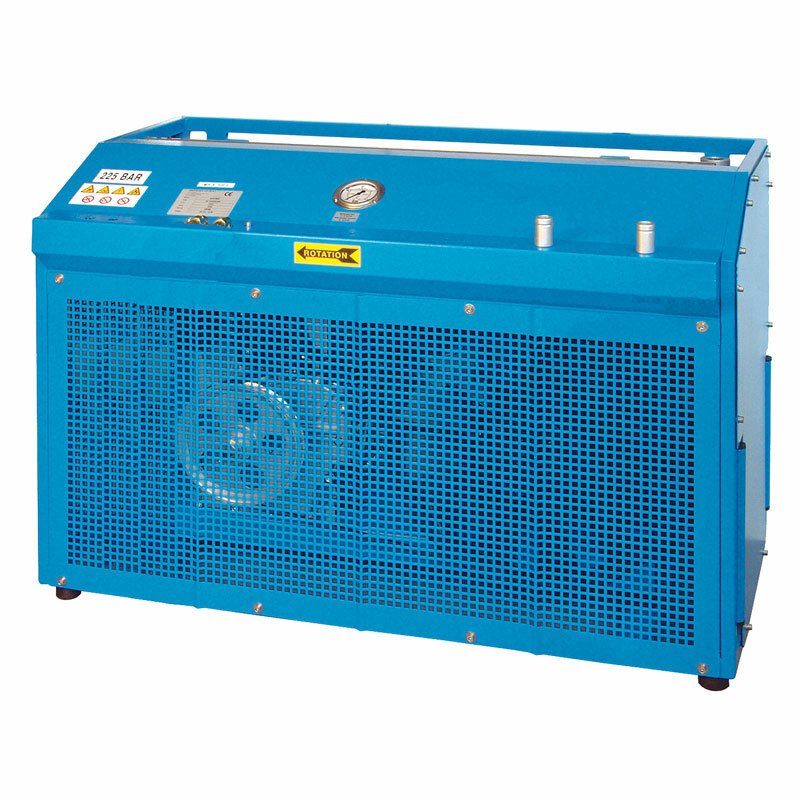 The ENCLOSED MCH16 is our most popular dive store and fire department breathing air compressor. 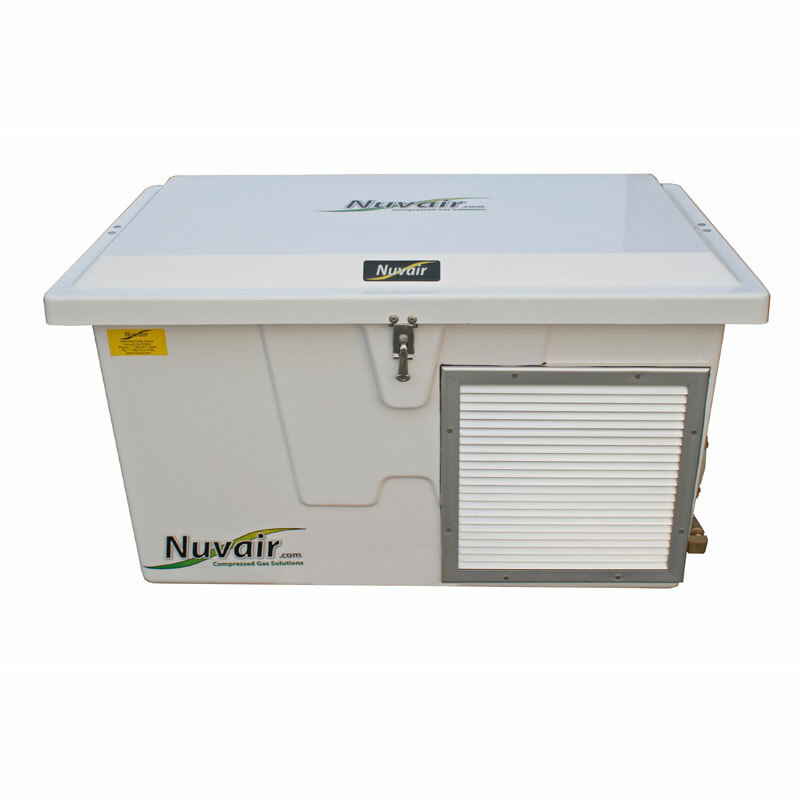 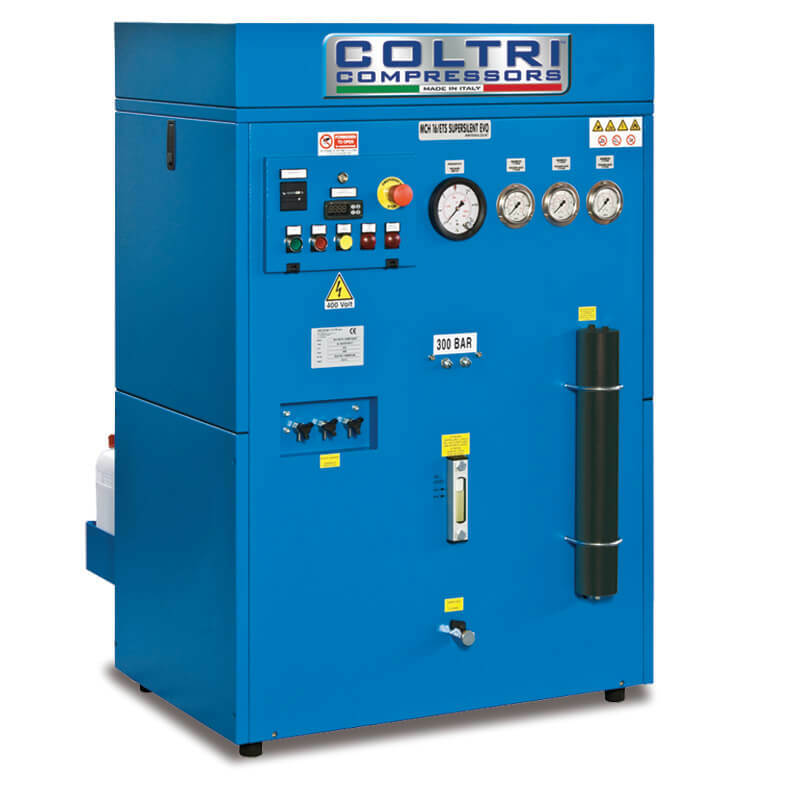 Our continuous-duty ENCLOSED & SILENCED compressors with soundproofed cabinets keep noise to a minimum. 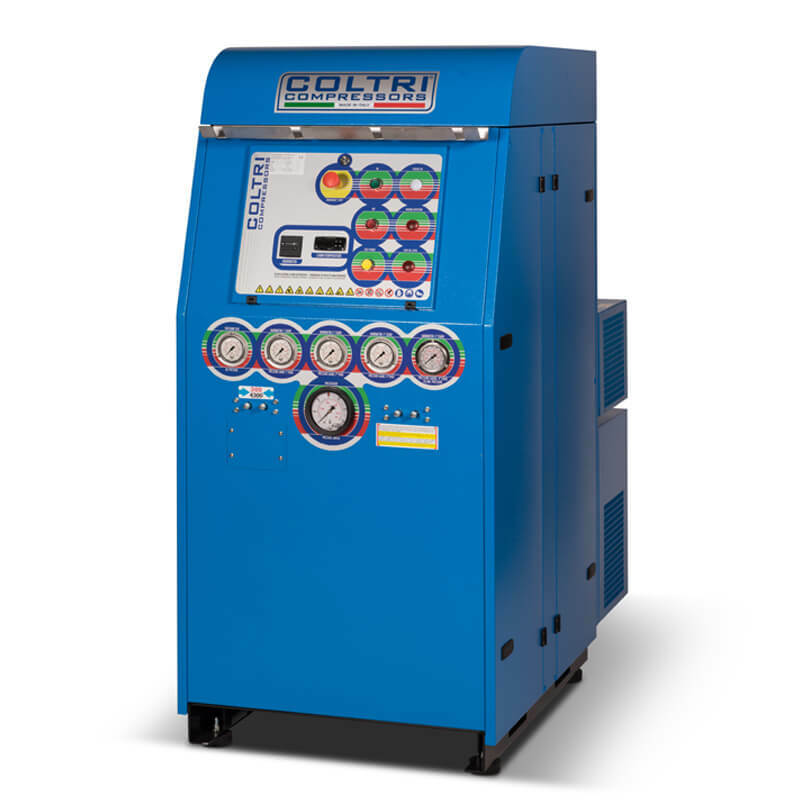 Premium features like upgraded filtration, interstage pressure gauges, and dial-a-pressure switches come as standard equipment. 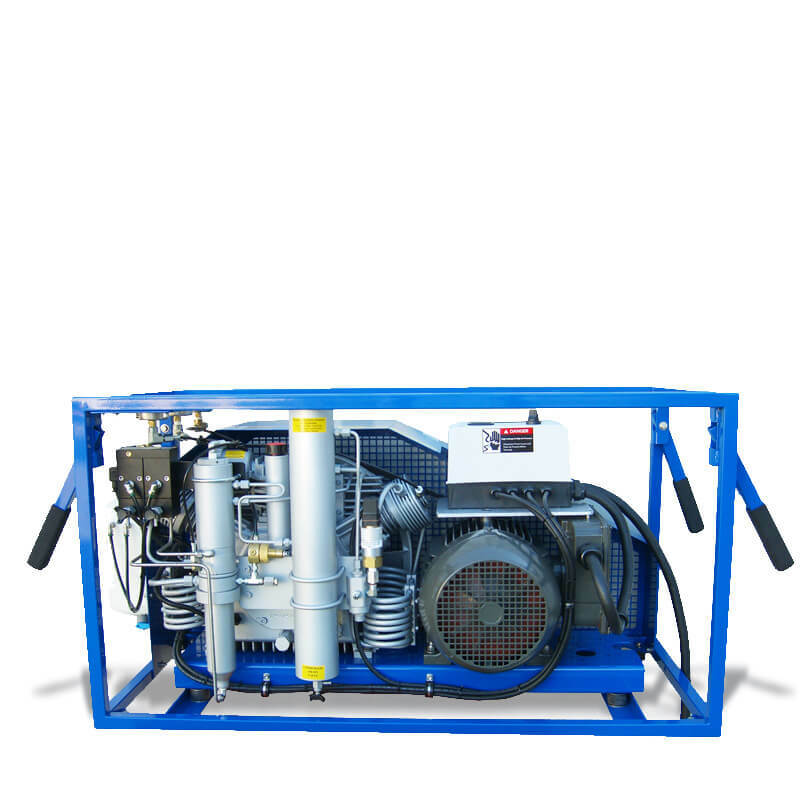 Available charging rates up to 27 SCFM (764 L/min) at 7000 psi (482 bar). 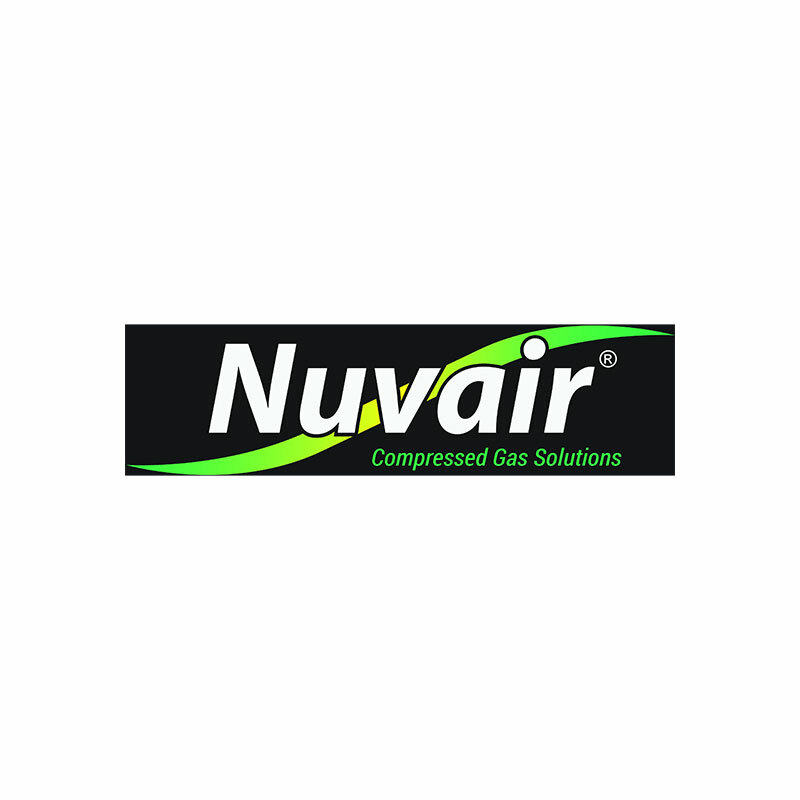 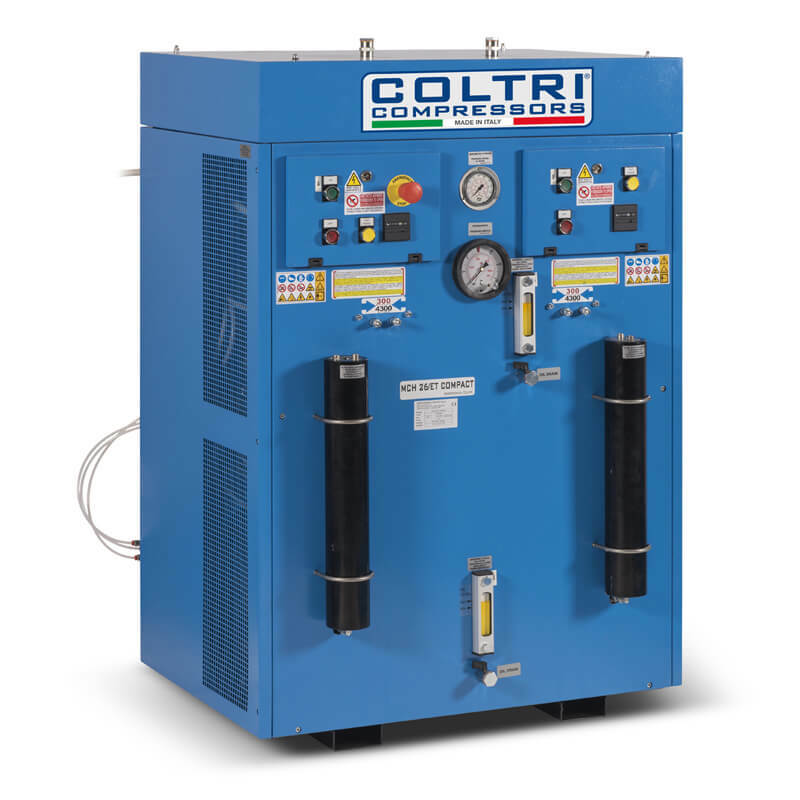 Our larger compressors can fill multiple tanks at the same time. 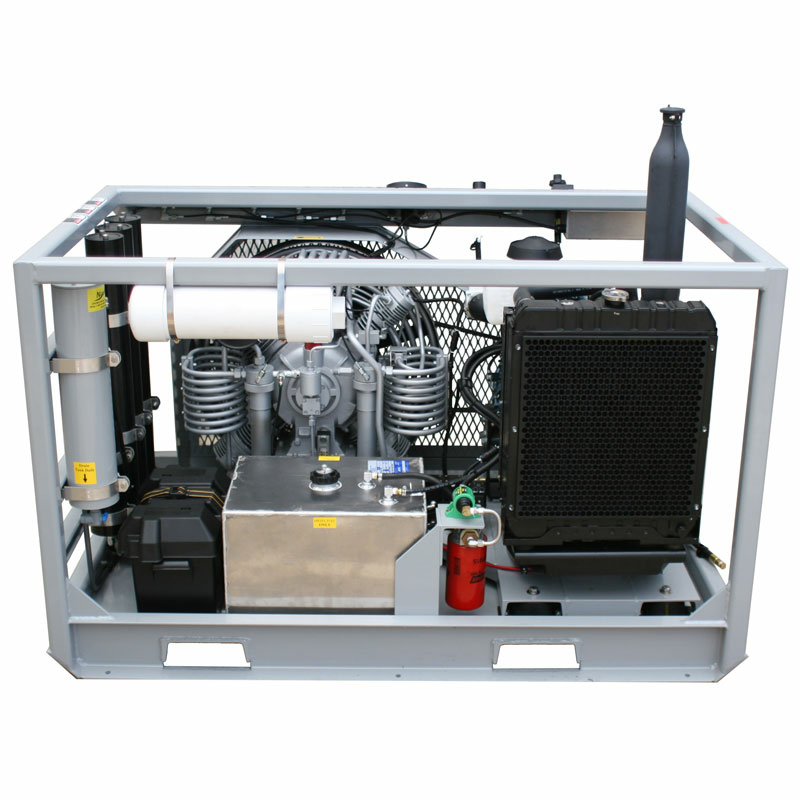 Water cooling is the most convenient, efficient, and effective way to cool your high pressure compressor. 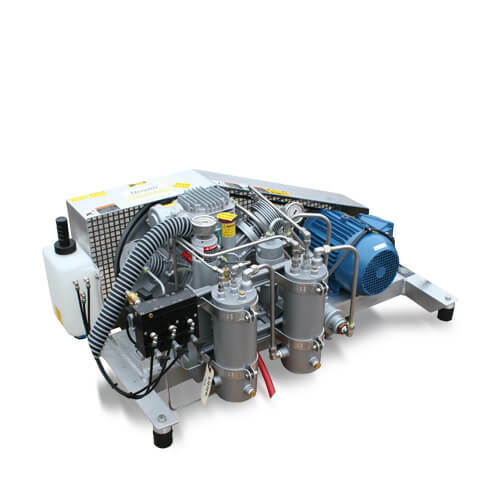 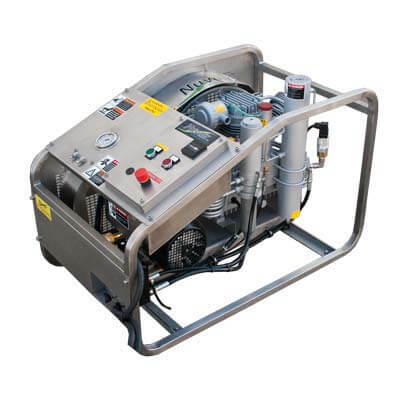 Extend the life of your compressor by considering one of our sea or fresh WATER COOLED systems. 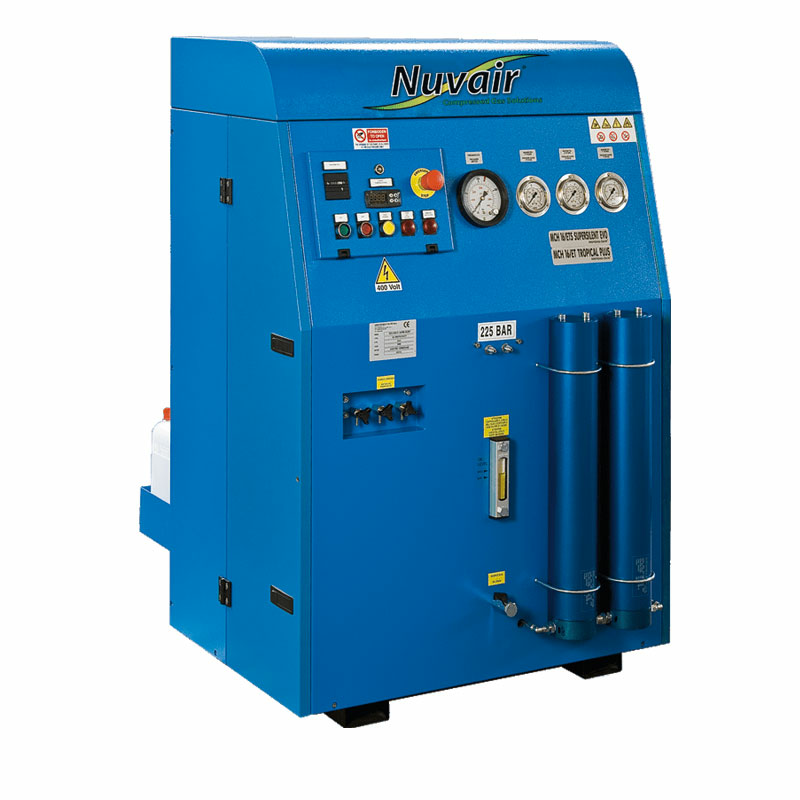 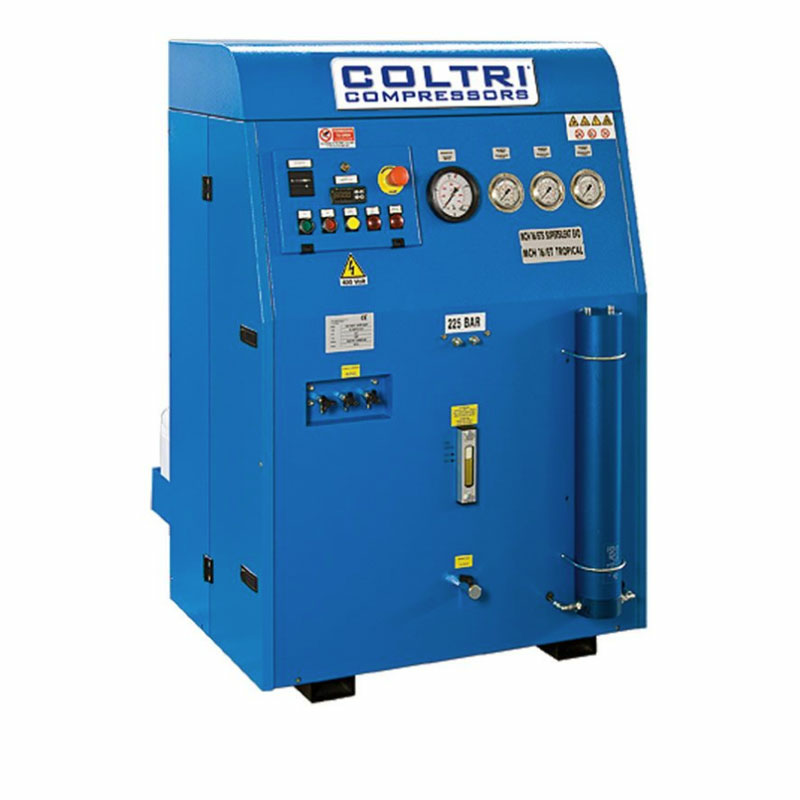 A variety of water cooled compressor sizes is available to match your particular application with delivery rates of 8.4-27 SCFM (238-764 L/min) at up to 6000 psi (414 bar).